Do you know what to do when an alarm sounds? Unless it is absolutely clear that it is a false alarm, every fire alarm or carbon monoxide (or gas alarm, if present) sounding should be taken as a serious event. Whilst the implementation of fire safety in private rental accommodation is a primary objective of the landlord, it is vital that tenants are also aware of their landlord’s responsibilities, as well as their own. Do You Know Your Landlord’s Legal Obligations? All landlords have legal obligations regarding fire safety. The legislation that applies to you will depend on the type of property you own and who lives in it. Your private landlord’s legal obligations will orientate around your safety, so it is fundamental that they abide by them.Primarily your private landlord’s legal fire safety obligations fall under the Housing Act, which require there to be “sufficient properly designed and appropriately sited smoke and/or heat detectors with alarms in every dwelling”. 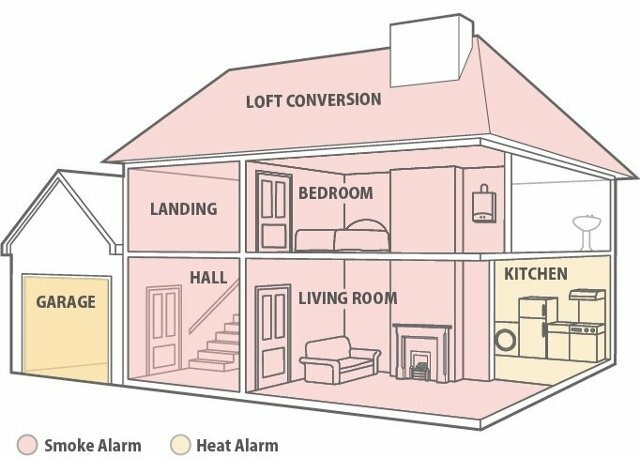 Private landlords also need to ensure, under The Smoke and Carbon Monoxide Alarm (England) Regulations 2015, that there is at least one smoke detector on every floor of the property, with a CO alarm in any room that contains a solid fuel burning appliance such as a coal burning fire or wood burning stove. 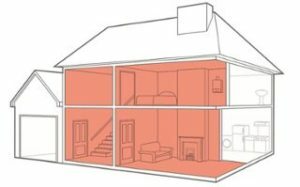 Landlords also have a range of other legal requirement outlined in BS 5839: pt 6 , which standardises best practice for compliance with fire safety legislation in domestic properties. Most notably, there are discrepancies between countries when it comes to the category of system to be installed. 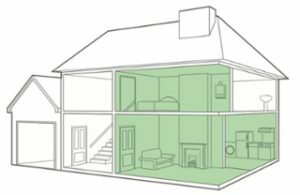 This is as, although building regulations in England and Wales specify a Category LD3 system as the basic requirement in domestic new builds, this only offers a minimum level of protection in circulation spaces. 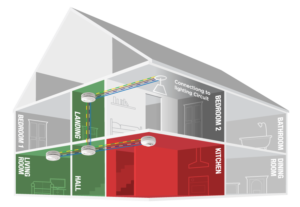 It is therefore best practice to install Category LD2, as required in Scotland and Northern Ireland. 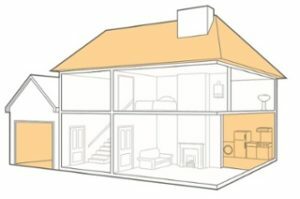 The principle pieces of legislation that cover fire safety in housing are the Housing Act 2004, the Regulatory Reform (Fire Safety) Order 2005 and the Smoke and Carbon Monoxide Alarm (England) Regulations 2015. Are Your Fire And CO Alarms Fitted And Working Properly? The landlord / Agent must test the alarms at the beginning of every tenancy, but hereafter it is normally the tenant’s responsibility to ensure that continue to remain in working order and, if need be, change the batteries. It is also advisable that alarms are cleaned once every 3 months with a hoover fitted with a soft headed brush. In the event of a nuisance alarm/ false alarm it is important tenants do not tamper with it, e.g. by removing the battery or by removing the alarm itself. This could endanger your life, as well as the other tenants present. Therefore, in the event of a false alarm, it is important you contact your landlord. Alert all the tenants, evacuate using pre-planned escape route, and call the Fire and Rescue Service (and landlord / Agent) once you are safely outside. Carbon monoxide is toxic gas that can be produced in the home when an appliance fails to burn fuel completely. So, in the event of a CO alarm tenants should open all windows and doors, evacuate, then contact your local registered gas engineer (and landlord / Agent). For more information about the dangers of carbon monoxide, see our Carbon Monoxide blog. 2015 Legislation dictates that a minimum of one smoke alarm be installed in circulation space per floor in a premises. Smoke alarms are appropriate for fitting in hallways, landing, bedroom, living room or any other communal areas. CO regulations state that a carbon monoxide alarm be installed in any room containing a solid fuel-burning appliance, fires and boilers or in rooms that are susceptible to leaks from fuel and chimneys. These include the kitchen, living room and boiler room. Recommended product: CO-9X-10 carbon monoxide alarm with LED display. Heat alarms are usually installed in rooms with high levels of fumes or smoke from cooking (that may otherwise lead to false alarms) or rooms with a lot of dust. These primarily include kitchens, garages and lofts. Recommended product: HT-630 Thermistek heat alarm – this utilises advanced heat sensing technology to provide a faster reaction to potential danger. Make sure tenants have easy access to a protected and safe escape route, and that all outside doors can be opened from the inside without a key. An escape window can provide a second emergency method of escape from the first floor. Engage a Gas Safe-registered engineer to inspect all gas appliances. Repeat this check annually to make sure appliances stay safe. Provide tenants with a copy of the check before they move in, or within 28 days of the check. Check regularly that all electrical appliances and installations are non-hazardous and in working order. Conduct annual visual checks of sockets, switches etc. Make sure all furniture and furnishings you’ve provided are fire safe and comply with regulations. Consider banning smoking in the property. In 2015/16, 36% of all fatalities in accidental dwelling fires were caused by smokers’ materials. Install a fire blanket and small dry powder fire extinguisher in the kitchen. Remember, ensuring the safety of your tenants is of the utmost importance. If at any time a tenant informs you of a potential fire risk, act on it immediately. Your tenants’ lives may be in your hands.